Location: Couin, in the Pas-de-Calais departement of France (Nord-Pas-de-Calais Region). Notes: Château de Couin is a house of Louis XV style, located in Couin in the Pas-de-Calais in France.Several stately buildings preceded the building of the present castle. Landas family, owner of the field, decided to build a castle in the classic and modern for the time. Construction began in 1745. The stately home was demolished. Construction was undertaken under the aegis of the architect Arras d'Huez. In 1748, the structural work is completed and the date is immortalized on the front of the castle. The owner, Philippe Albert Landas, Earl of Louvignies, deputy of the nobility in the United d'Artois, died in 1760 and his wife Isabelle of Héricourt continued by removing the church to rebuild stone by stone so that it occurs perpendicular to the house. In the 1780s, the son realized the stables in a neoclassical style. When the Revolution broke out, the count and his wife are imprisoned. However, residents of Couin defended them for services rendered to the population. But the two pediments of the castle are etched. The Landas led a peaceful life but, having no heirs, their death, the castle was sold to Louvencourt. The building is however not lived until Arthur Louvencourt in 1823 that made a complete inventory. He settled and undertook interior and exterior with his wife Emma as the large dining room, the tiled stove ... Their son Ghislain continued work, landscaping bathrooms, the kitchen stove ... During World War it was used as headquarters for the Medical Division of the British Army from 1915. 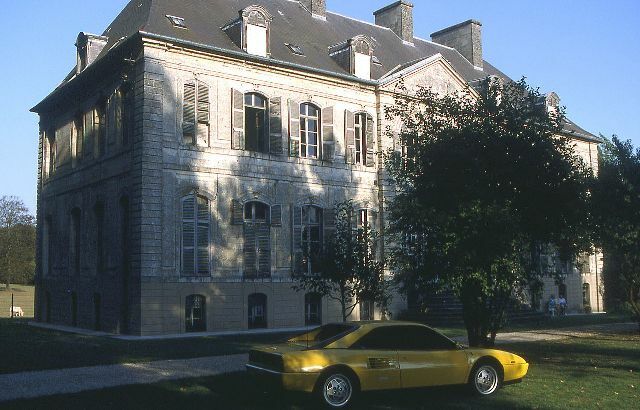 The Louvencourt continued to live Couin until early 1950. Then the castle was used for summer camps. From that time, it will not be inhabited until 2003. Louvencourt have sold in 1962 to a Arras who himself sold to the current owners. In 1965 the castle was listed in full, inside and outside, the inventory of historical monuments. Since 2002, the castle is experiencing a particularly important restoration program. Open to the public since that time, it is one of the private castles among the most visited in the north of France.